Less than two days after arriving in Melbourne, six years ago, Fawad Ahmed bought a ticket and hopped aboard a local train. But he had acquired the wrong ticket, and the conductor duly fined him. "I pleaded with him, saying in my very bad English that it was my first week here," Fawad remembers. "He didn't smile and just told me to learn the rules. Learning the culture and how things work here made it a very tough start." This fish was out of water. Fawad had come straight to Melbourne from his native Pakistan, but that had not been the plan. Since September 2009, he had hoped for a short-stay sponsored visa to play for a club in Yoogali in rural New South Wales. But the visa was not granted until February, which meant he couldn't turn out for the club. 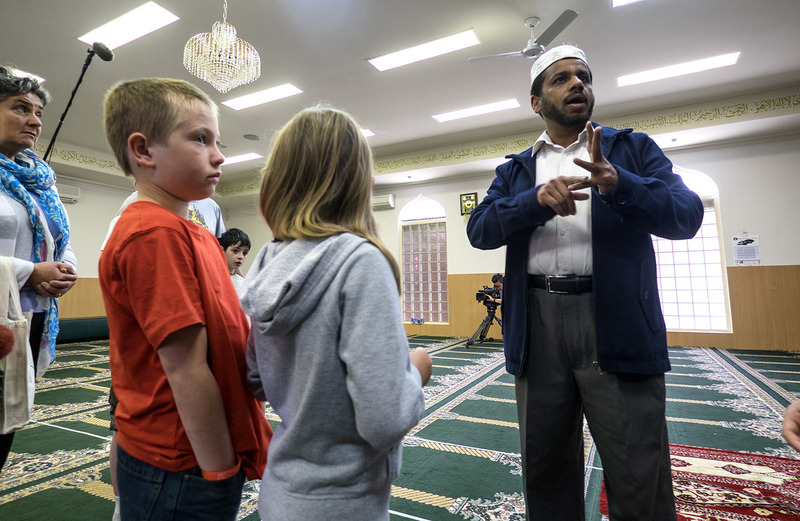 Fearing for his life after the Taliban had threatened him for promoting female education, he headed to Melbourne and applied for refugee status in Australia. Fawad may have had a master's degree in political science and international relations but for now he was concerned about day-to-day survival. He had borrowed money from a friend, and it is scarcely an exaggeration to say he owned little more than the clothes on his back. He certainly could not afford too many fines. Soon he would start a job picking fruit in the Victorian town of Bendigo, which involved a daily eight-hour round trip to earn a pittance "in the coldest winter I'd ever known". Leaving before dawn and returning after sunset, eating badly and unable to pray properly, he "regretted coming at that time. I missed my family lots, as I still do. I missed everything. I was saying that if the life was like this, then I'm done." Now, in 2016, Fawad's complexion is rather different. He has had an Australian passport for almost three years. Getting it required luck and plenty of hard work; he needed friends in high places, ministerial intervention, and according to some, liberal interpretation of laws. He has an impressive Australian cricketing CV - international caps in both white-ball formats, a pair of tours to England and one to the Caribbean, winner's medals in the Sheffield Shield and Big Bash League. And he has the most number of Shield wickets since his first game in February 2013 (joint highest with James Hopes). Chatting at Junction Oval in St Kilda, three days after his team, Sydney Thunder, won the BBL, Fawad is fully at ease in his adopted home. Every third sentence ends with "mate", or actually, "moit", and he mentions "the Poms". His sense of humour - dry, naughty, self-deprecating and carefree - is pure 'straya, and like all Melburnians he has developed a taste for the Australian Football League. Collingwood is his team, although he acknowledges, "People don't like that. Everyone hates us." He has an Aussie nickname, "Fuzzy", and his verbal jousts with his "best mate" David Warner seem a sight to behold. "He gives me a lot of tough times, teasing me," he says. "I try to tease the guys back but sometimes I get stuck for the right words, so I just call Davey an idiot! If I could tease him in my first language, he wouldn't stand a chance… "
His English, for all that self-denigration, is almost perfect. "I have learnt a lot," he laughs, his grin broad and toothy. He now knows which train tickets to buy. In March 2010, Fawad was bitten afresh by the cricketing bug when he saw David Hussey make a Shield-winning 168 at the MCG. The last of his ten first-class games in Pakistan had come just a few weeks before he fled the country and, as he says, "I needed the game. It's in my blood. "One day, I asked my friend, 'Where is MCG?' I just went along. It was the Shield final. Huss was batting against Queensland. I never dreamed that in a few years I would play this game, alongside him! I knew then I had to get back into cricket." So out the emails went, to every Melbourne club he could find online: "I played first-class cricket in Pakistan; copy, paste, copy, paste." Many did not take his advances seriously, so with no idea about Australia's tiered system - he signed for Hoppers Crossing CC, a club in the sub-district Victorian Turf Cricket Association. He enjoyed two standout seasons, with 90 wickets at 11.70, before he realised that he needed to step up to Premier Cricket, and so he joined Melbourne University CC. By then he had built a life in Australia through cricket and a job Hoppers Crossing provided him. Yet Fawad was in considerable strife; in August 2012 his asylum application was rejected by both the Immigration Department and the Refugee Review Tribunal. And his president at Melbourne University CC, Derek Bennett, quickly recognised his perilous position. "The legal process in Australia is not kind to people in that position," remembers Bennett, "particularly if they don't have a lot of resources at their disposal, which was effectively Fawad's situation. We thought it was our duty to do anything we could to help him." "I had been on tours, with the A team and Australia, had an amazing time but people had expected so much. They started to think I would be the next Shane Warne"
Bennett called an old mate who just happened - very fortunately - to be CEO of Cricket Australia, James Sutherland. Bennett explained Fawad's awkward circumstances and also enlisted the support of other heavy hitters like Cricket Victoria's chief executive Tony Dodemaide, former ICC President Malcolm Gray, and CA's General Manager, Team Performance, Pat Howard. "Basically," explains Bennett, "the only option available to us was to appeal directly to the federal immigration minister to intervene on Fawad's behalf, which was something he had actually never done for anyone. It was a seriously long shot. We had about ten days to sort this out. Otherwise he was gone for all money, at 24 hours' notice. He genuinely believed that if he was sent back to Pakistan, his life was in danger." Fawad was not, however, a complete unknown in Melbourne's cricketing circles. A year or so earlier, he had created a bit of luck for himself. "I had no idea who Bobby was. I recognised some of the others - Finchy, David Huss, Siddle, but not Quiney. He's a big guy, so I thought he must be a fast bowler, a tailender. First ball I did him, bowled through the gate. Second ball I thought to myself, 'Yeah, I've got him.' So I went for a big wrong'un, he goes the other way, and it beat him again! Bobby just looked up, laughed, and said, 'Mate, I have no idea what you're doing.'" When Fawad turned to go back to his mark, he realised everyone was looking at him, mouths agape. "I was a bit blushed!" he admits. Helmot informed those running the coaching course that Fawad would be missing the rest of the session. "I bowled for hours and was really sore," remembers Fawad, "and at the end he [Helmot] asked me to come back and train with them regularly." The Quiney moment opened other doors. A few weeks down the road Fawad was offered roles as Cricket Victoria's Multicultural Liaison Officer and as ambassador for Harmony in Cricket, to encourage migrants - particularly children of migrants - to play the game. Around the time Bennett called Sutherland to ask for help, Australian opener Ed Cowan informed CA that he wanted Fawad - whom he had faced as a net bowler at the MCG - to help him prepare for Imran Tahir ahead of playing South Africa. Bennett asked Cowan to "create a bit of media" around Fawad's role. Naturally the spotlight shifted to Fawad's immigration status and his future, setting the stage for a perfect storm. On the one hand Fawad "was living the dream" in the company of legends such as Ponting and Clarke. On the other, uncertainty loomed over his residency. Bennett told the bigwigs "that I thought the game of cricket owed the bloke a bit", and CA's Head of Government Relations, Grant Poulter, lobbied immigration minister Chris Bowen. And in his last act before a cabinet reshuffle, Bowen granted Fawad a permanent visa. 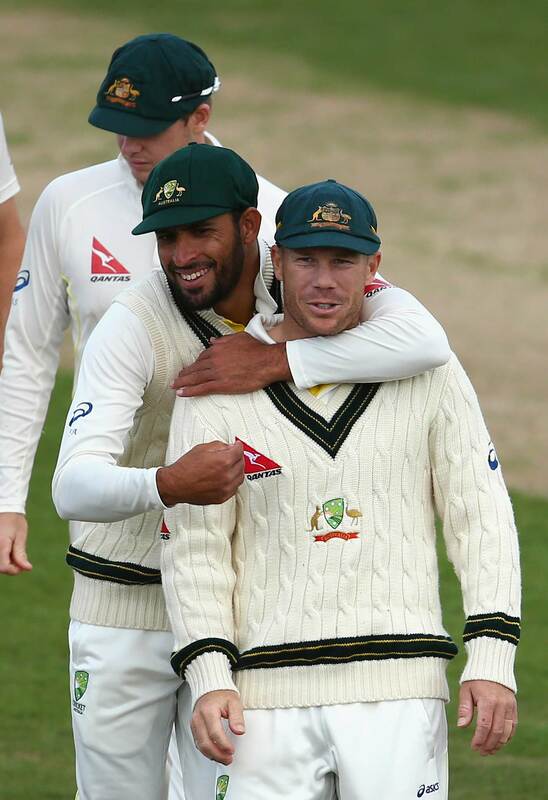 "Fawad rang me straight after," says Bennett, "and said that he wanted to meet James [Sutherland] to say thank you. So I told him to go to Jolimont and find him." When Fawad reached CA HQ, Sutherland was busy. But he appeared, met his visitor and asked him if he had ten minutes to join him in a meeting. It was with the head of each state association, and Sutherland asked Fawad to briefly tell his story. "So, unannounced, he went in and told the whole tale," says Bennett, "from fearing for his life, arriving in Australia with just the clothes on his back, being fined on the train in his first week in Melbourne, to bowling to Ponting, to the news he had just received." There are sections of his story that he has revealed in the past but skirts around now, in part believing that his background has taken attention away from his cricket. And who really likes discussing traumatic times? When he finished, one of those in the audience put up a hand and asked: what next? Fawad explained he hoped to get a deal in the upcoming BBL, but that he would have to play as an overseas signing because he was a resident, not a citizen. So they instantly voted on whether to change that rule, and every hand rose. Within a few weeks Melbourne Renegades offered him a contract, and CA gave him a marketing contract. By February he had made his Shield debut, played against England Lions and turned out for the Prime Minister's XI. On July 2, 2013 he was handed his passport. So, Fawad was officially Australian. Not that everyone thought so. Parachuted straight into the national set-up, he accepted - as a Muslim - CA's offer to play without an alcohol sponsor's logo on his kit. The former Australia batsman Doug Walters said he shouldn't play, while rugby legend David Campese suggested he should "go home". A risible, racist Twitter troll joked that Fawad could sport an explosives logo. All of this happened in a matter of weeks, and publicly. People were talking about Fawad, and he was not comfortable. He admits that it happened too fast, that he did not have time to enjoy the transformation, that his cricket may have suffered and that everyone - himself included - expected too much, too soon. "He got a bit awkward about what a big story it had become," says Bennett. "When I first went away with Australia, I had barely had time to enjoy the amazing change in my life," Fawad admits. "A while later I was upset because I thought my dream, on the cricket side, had come and gone. I had been on tours, with the A team and Australia, had an amazing time but people had expected so much. They started to think I would be the next Shane Warne, and I expected so much of myself as well, that was a problem. Perhaps in the middle I was distracted by the citizenship stuff, dealing with the media and all these new commitments, and I didn't concentrate so much on my game and being prepared on the international level. I mean, you have to be seriously good, mate." Now, three years on, Fawad has the benefit of distance. There are sections of his story that he has revealed in the past but skirts around now, in part believing that his background has taken attention away from his cricket, but more because, well, who really likes discussing upsetting, traumatic times? Reminiscing seems taxing; his mouth tightens and his look hones in on the middle distance. "These days, he never lets on how bleak things were, both in his final days in Pakistan, or when it looked like he was going to have to leave Australia," says Bennett. "He shies away from his backstory, because he wants to be known as a cricketer." Fawad is settled now. He rents an apartment in Melbourne's inner west, and regularly cooks his Melbourne University team-mates, and Bennett's family, biryani. He "loves" Melbourne's culture and is looking to start a family of his own before long. Both eyes are firmly fixed forwards. He credits a summer spent playing cricket in Holland, and travelling through Europe, in 2014, with helping him appreciate how far he had come. "I relaxed, and didn't think too much about cricket. I was going to come back with a bang." 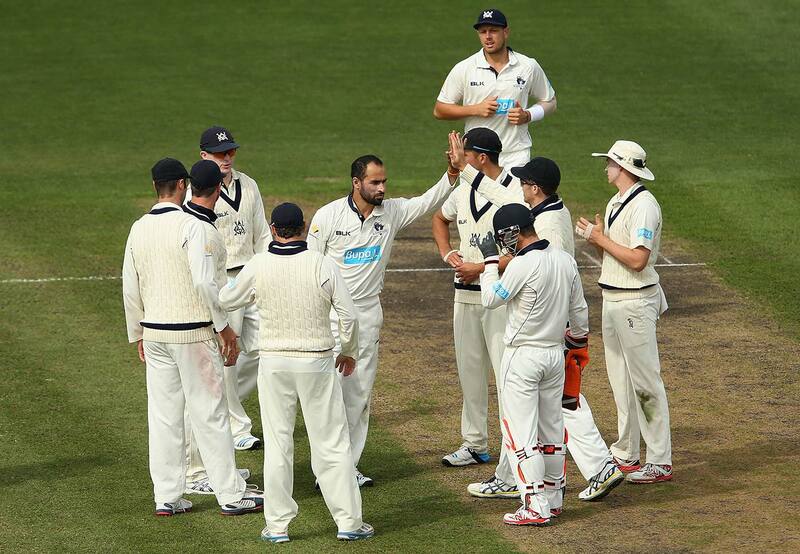 And that he did, taking 48 wickets as Victoria won the Shield. He was recalled by Australia to tour West Indies and England. There is, strikingly, a social responsibility about Fawad now. He says he finds life as an Australian Muslim simple, even in the macho world of Australian cricket. He has fasted during the Ashes, only eats halal food, prays in the changing rooms, has never touched a drop of alcohol, nor felt the need to compromise his values. "No one is forcing you to do anything," he says, and then, laughing, "I just want to show that we are very friendly people!" "I can show there's a spot for everyone in cricket here - if I can play for Australia, then anyone can. I think once it felt in Australia only white people played cricket, but that perception is changing fast"
He remembers being badly sledged when he first played club cricket in Australia, when Pakistan cricket's reputation was sullied by the spot-fixing scandal of 2010, and admits he has occasionally been a victim of racism, though he finds that unremarkable. "There are good and bad people everywhere, and some racism happens everywhere," he says. "It happens." Bennett believes Fawad has changed attitudes. "He openly talks about his faith at the club," he says, "and I think a lot of blokes who've come across him know a lot more about that than they otherwise would, and that's a massive positive." Fawad's official role at Cricket Victoria continues, shepherding minorities to the game, and he says he would like to do more of this when retirement eventually comes knocking. "I can show there's a spot for everyone in cricket here - if I can play for Victoria and I can play for Australia, then anyone can. I think once it felt in Australia only white people played cricket, but that perception is changing fast." All of the above - cricket, community, happiness, his previous life - came together in December, when Fawad learned of the plight of a Pakistani architecture student called Hassan Asif who was in the final stages of a battle with skin cancer. Asif was too unwell to fly home from Melbourne to spend his final days with his family, who in turn were being denied entry into Australia. Fawad had seen Hassan's story on the news, and was told he was a cricket lover. On the morning of Christmas day, Fawad visited Hassan at his hospice, taking with him signed kit. They chatted, joked and laughed. After a public outcry that lasted about a fortnight, Hassan's mother and brother were eventually allowed to visit him, but he died within a few days of their arrival, aged 25. "I really had a great couple of hours with him," says Fawad, visibly emotional. "He was a lovely guy, we shared stories about life, Pakistan and cricket, and spoke in Urdu. He told me he loved to bowl legspin too. I was so happy that I could make someone smile. You always have hope, even in cases like this. I just prayed he would be fine, but after just one or two weeks I found out he was gone. I was shattered. I don't have the words to describe how I felt when I heard the news. You can't control these things. It makes you think. It makes you realise to be good to people and be grateful for everything you have." Meeting Hassan was a reminder of how special his new life has been. Many expected Fawad to be a Test cricketer by now, and perhaps those who rubber-stamped his passport three years ago are surprised that he is yet to wear the baggy green. There have been moments when he has come close, particularly on a tour of the Caribbean last year, when he looked set to debut in Dominica. When Australia headed to England afterwards, Fawad's confidence was shot. "It was very, very frustrating," he says. "I just didn't get a chance. I thought that I should have in Dominica. It was one of the best wickets you'll ever see for a spinner. Just perfect - ragging massively, [Devendra] Bishoo took six for nothing. But I was just carrying drinks. I had said to Davey, 'Watch, I won't play.' I was right. And once I missed out there, I knew I wouldn't play on either tour. That was a very long four months for me." When he missed out in Dominica, there were sections of the media and some in the camp who doubted Fawad's ability to put nerves aside. But this is a notion Bennett scoffs at: "I roll my eyes when I hear about him not being resilient. A bloke who has seen and been through as much as him is obviously incredibly personally tough." Bennett remembers receiving a call, as he often does, from Fawad during an away Shield game last year. To a short boundary with runs on the board, Fawad had taken some first-innings tap, and Bennett expected him to sound dispirited. Instead, he was upbeat, saying he had headed to the nets to iron his issues out. "The first 200 balls were no good," Fawad had said, "but the last 50 were beautiful!" "It's stinking hot, he's already bowled 30 overs, and he goes out and bowls 250 balls - the poor coach," laughs Bennett. "Sure enough, second dig he took a few and Victoria won the game." "I'm still not giving up hope of playing Tests for Australia," he says. "I'm feeling bullish. I'm fit and I'm confident. I have a thirst to play a lot of red-ball cricket." This story still awaits its conclusion. Australia shifted heaven and earth to give Fawad a chance. Should he be handed a baggy green, a remarkable story would be capped. But even if - for all his effort - it never arrives, his enduring message will make it all worthwhile. 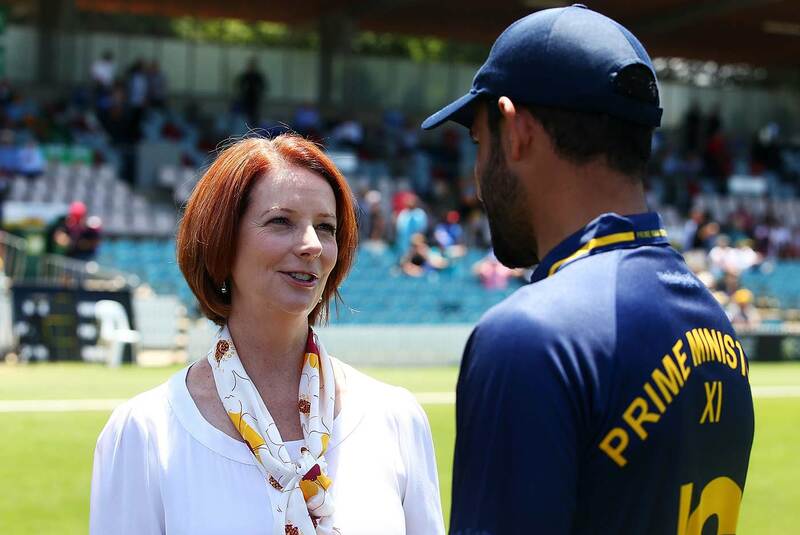 Where to now for Fawad Ahmed?